WHEN it comes to energy and fuel, South African consumers can’t seem to win. Although the petrol price has decreased, for now, the spectre of load-shedding still looms. Considering the energy future of South Africa, it is clear the time has come for innovation. The answer might be locked up within an industry that is often maligned as a seducer bent on destroying our health – the sugar industry. 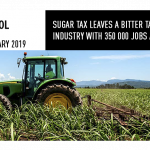 There is so much more to sugar cane than sugar, and its potential to create a healthier energy future is but one of many good reasons the embattled South African sugar industry is worth saving. Sugar cane is one of the few bioenergy sources that can supply both electricity and liquid fuel. Bagasse is the fibrous material that remains after the sugar-bearing juice has been extracted from the sugar cane, and it contains 35% of a mature sugar cane plant’s chemical energy. 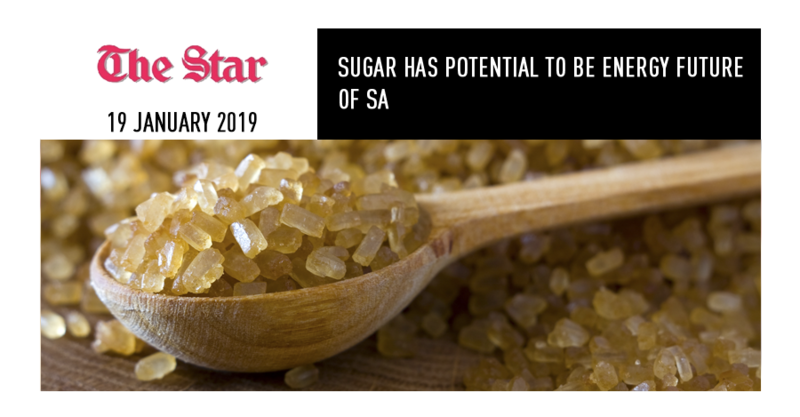 Having realised this, the sugar industry has long since invested in the technology that allows sugar mills to burn bagasse to supply the steam needed to generate the electricity necessary for their production processes. Guatemala, Kenya, Uganda, Vietnam and Mauritius, also produce electricity from bagasse. When it comes to liquid fuel, sugar cane is an excellent feedstock for ethanol production. It’s true that on the face of it ethanol is more expensive than oil as a fuel source. However, the scales tip when one considers the longer term benefits of a biofuel investment – notably the role it can play to mitigate disastrous climate change – and the boost our national accounts would receive when we import less oil and instead produce our own ethanol. Zimbabwe, Malawi, Brazil and the US do this already. In the short term, an investment in ethanol production in South Africa will absorb all the local industry’s surplus production, and then some. Jobs will not only be saved, but created. Different studies have quoted different job-creation numbers for different feedstock options. 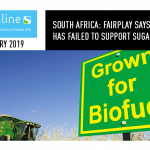 The range is illustrated by 21 000 mostly farming jobs estimated by the South African Sugar Association (SASA) in 2013 and 100 000 biofuel industry jobs, according to an economic assessment of bioethanol production in South Africa by Economic Research South Africa (ESRA). will have significant socio-economic advantages while contributing hundreds of millions of rands to the fiscus. Recycled and recyclable plastics are already well known, but imagine a plastic that is biodegradable and won’t contribute to ocean and landfill waste, a renewable alternative to fossil- fuel-based polymers and safe and potentially inexpensive to manufacture. Add to that a manufacturing process that is cleaner than that involving petrochemicals, and a product that is free from BPA. Fortunately, this is no fairy tale. In 2017, a team of scientists from the Council for Scientific and Industrial Research (CSIR) Polymer and Composite Research Group in Port Elizabeth, introduced the world to their 100% biodegradable plastic bags made from agricultural by-products. University of Bath, developed a biodegradable plastic made from sugar and carbon-dioxide in 2017. Their polycarbonate can be degraded back into carbon-dioxide and sugar, using the enzymes found in soil bacteria. Bioplastics, as the products developed in PE, Cape Town and Bath are known, account for about 1%only of the total plastics market. But according to the European Bioplastics Association in Germany, their use will grow at least 50%in the next five years. Less futuristic, but equally good for the environment, are the moulded fibre products, such as takeaway containers, bowls and plates, made from bagasse. Mixed with wood pulp, bagasse is also turned into paper and board products, such as toilet paper, serviettes and cardboard lids. A spoonful of sugar not only helps the medicine go down – it can be the medicine. Zimbabwean-born doctor Moses Murandu, now lecturing at the UK’s University of Wolverhampton, recently completed a pilot study focused on sugar’s applications in wound healing and won an award from the Journal of Wound Care for his work. With so many potential avenues open to diversification, sugar is clearly an industry worth saving. In addition to (or maybe instead of) fighting costly trade wars, the South African government would be well advised to enable the industry to capitalise on these growth opportunities. That would be a sensible, and future-focused use of sugar-tax revenues.